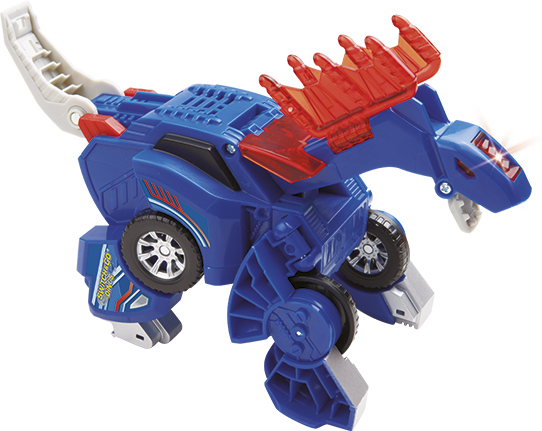 Remote controlled Stegosaurus. 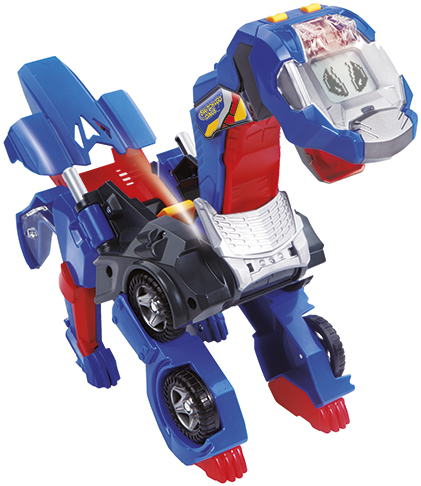 Switches between vehicle and dino. 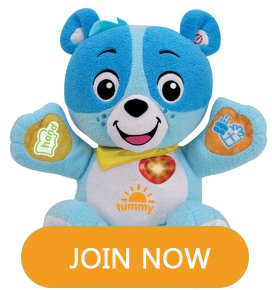 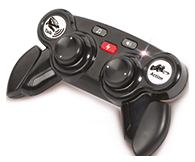 Control movement, lights and hear facts, phrases and sounds using the remote control. 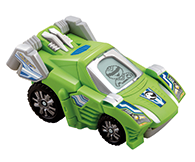 Switches between a Beach Buggy and a Stegosaurus! 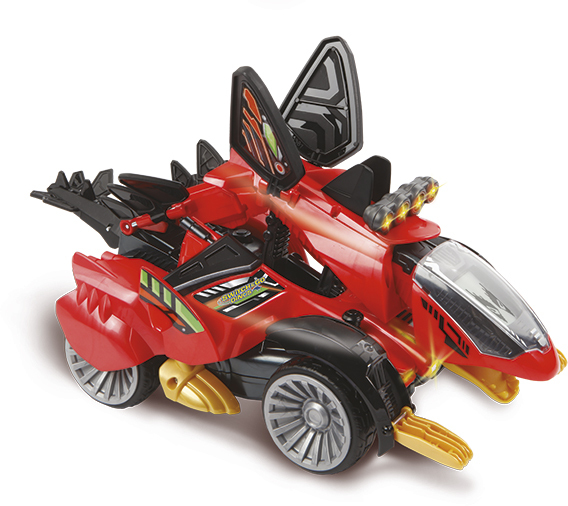 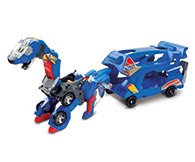 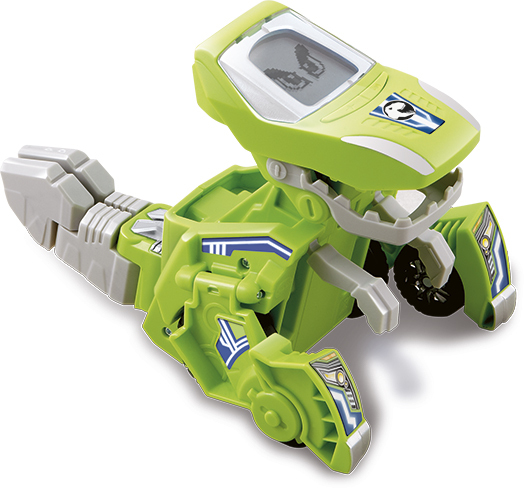 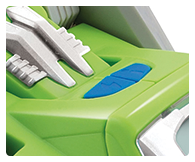 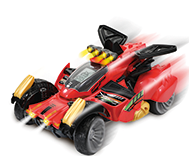 Play sound effects in both vehicle and dinosaur mode and whilst switching! 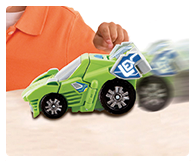 Control Sandstorm's movement using the remote control! 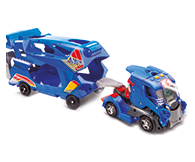 Boost switches between a truck with attachable trailer and Brachlosaurus. 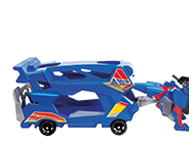 Action button moves Boosts head up and down! 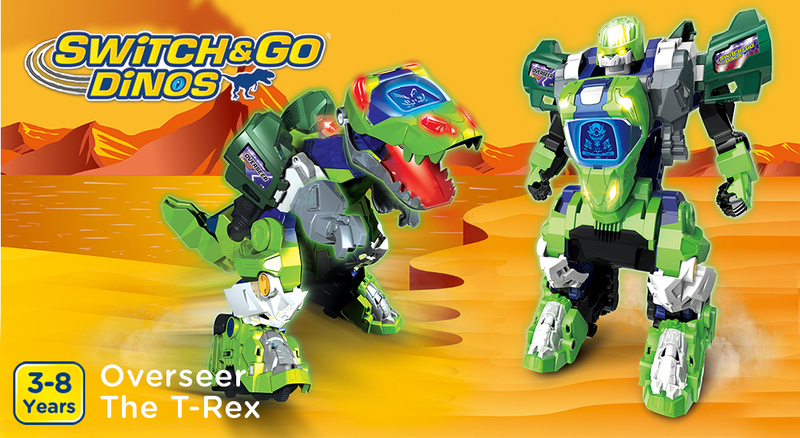 Teaches dinosaur facts. 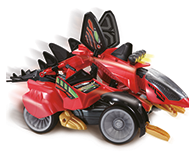 Includes a trailer to store more Switch & Go Dinos® (not included).